Johnny's Fine Foods / Updates / Updates / Calling all Concentrates! Here you’ll learn what tasty flavors to expect when cooking with our concentrates, as well as a dish idea for each concentrate you might not expect! Au Jus: Bold and beefy. We combine red wine vinegar, tomato paste, onions, roasted garlic and Worcestershire sauce to tenderize and marinate your meat, bringing out it’s full beef flavor in every bite. Holiday Hash: Leftover holiday roast, cooked veggies, chopped spinach, poached egg and Johnny’s French Dip Au Jus. Beef Gravy: Onions, mushrooms, and and delicious beef broth. You’ll be asking for some mashed potatoes to go with your gravy, instead of the other way around. Poutine : French fries, Johnny’s Beef Gravy, cheddar cheese curds and bacon bits (optional)! Sloppy Johnny: Red & green bell peppers, ripe tomatoes, soy sauce, roasted garlic, pineapple juice, chipotle pepper, and a smokey flavor–it can’t be topped. 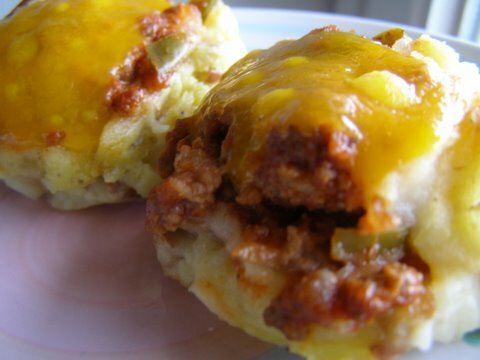 Sloppy Joe Mashed Potato Cups: Mashed potatoes in muffin tin, Sloppy Johnny’s leftover meat, topped with cheddar cheese and sour cream. Skillet Taco: Tomatoes, roasted garlic, onions and bell peppers, with a punch of paprika and chili pepper. It’s taco time! 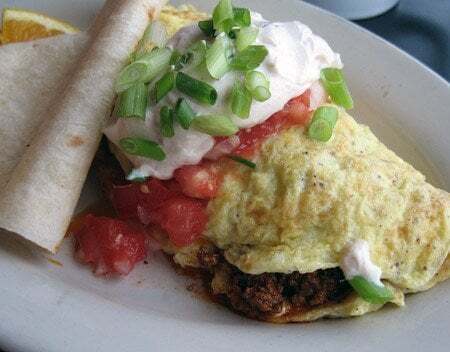 Taco Omelette: Johnny’s Skillet Taco meat folded into seasoned egg omelette, topped with sour cream, green onions and tomatoes.